You can mark the direction to your target in relation to North with the bearing lock feature. With the compass active, hold the watch in front of you and turn yourself towards your target. Press Back Lap to lock the current degree displayed on the watch as your bearing. An empty triangle indicates the locked bearing in relation to the North indicator (solid triangle). Press Back Lap to clear the bearing lock. 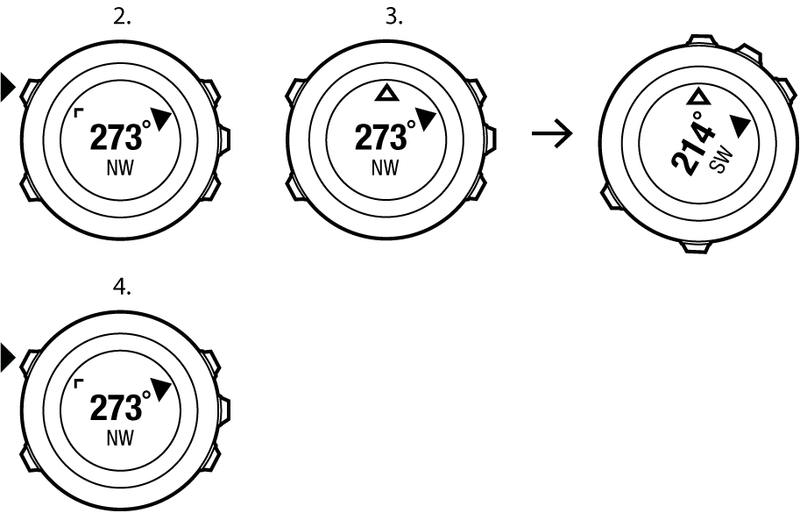 While using the compass in an exercise mode, the Back Lap button only locks and clears the bearing. Exit the compass view to make a lap with Back Lap.